The b & b is located in a residential and exclusive area of ​​Matera; ideal for those who want to spend a quiet and relaxing stay. The structure is located in a hilly area from which you can enjoy a beautiful landscape: Bradano Valley, S. Giuliano dam, the Pollino Mountains and the unbelievable sunrise and sunsets. 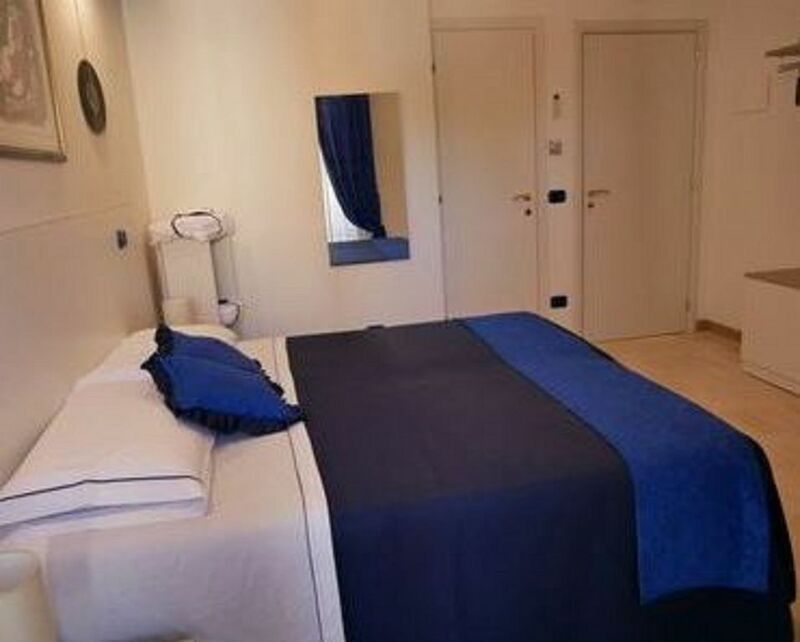 The b & b is 900 meters from the famous stones of Matera, and served 50 meters away, from a bar, from the bus stop and 500 meters from the hospital. Entrance and independent space with garden, fruit trees, flowers and healthy air. They will have access to a common garden where, during hot days, they can enjoy breakfast and enjoy a healthy relaxation. The funniest part of hosting people is the ability to always know many people with whom they can share experiences and spend some pleasant moments together. And if the climate allows it ... why not a nice barbecue in the garden, all together, with guitar at your fingertips! The B & B has a unique view as you can watch the beautiful valley of the bradano and its seasonal colors, the San Giuliano Dam and the mountains of pollen. The B & B is located near the public transport network and has ample parking spaces for free. It also has facilities for urban and extra urban transport and shuttle service to and from Bari Airport.